Ernie Glass, CFP® | Consolidated Planning, Inc.
Ernie Glass was born in North Carolina and grew up in Singapore – the son of Baptist missionaries. He is a graduate of Wake Forest University and the University of Oregon. He began his career as a registered representative in 1981 in Shreveport, La. and moved back home to Charlotte in 1989. 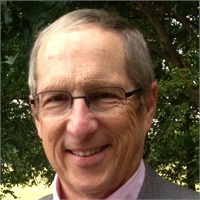 Ernie received his Certified Financial Planner designation in 1987 and is a past president of the Charlotte Society of the Institute of Certified Financial Planners and served several terms on the board of directors of the Charlotte chapter of the Financial Planning Association. Ernie joined Consolidated Planning, Inc. (and Guardian) in July 1997 as the Equity Compliance Supervisor. Prior to joining CP he was a representative and division manager with Waddell & Reed for 13 years and an independent representative with SunAmerica Securities for 3 years. Today, as the Agency Control Officer for Consolidated Planning he supervises the activities of all CP Advisors and continues to maintain a client base of long term clients. Ernie is one of the rare compliance professionals who is both an advisor to clients and a supervisor of advisors. Ernie and his wife Gina (a retired engineer) have two cats. Ernie is a nationally ranked masters swimmer and has held many state records in his age group. In his spare time he enjoys surf fishing, boating, genealogy, and traveling to unique and out of the way places with his wife, Gina.